The generation of entrepreneurs who are capable of revolutionizing the world challenging the tradition through innovation and, are capable of being creative destructors of the status quo has become a burning need of the era. 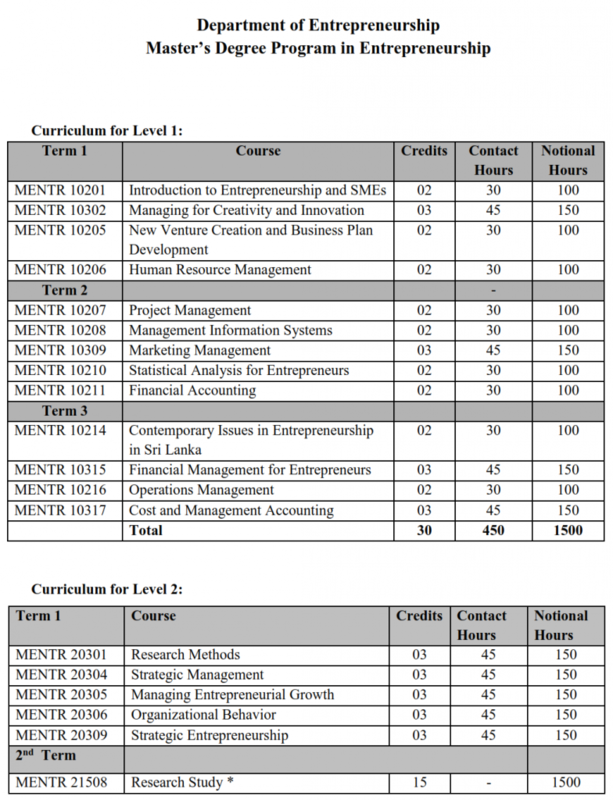 Hence, the Faculty of Management Studies and Commerce, renowned as the centre of excellence in management education in Sri Lanka, invites both entrepreneurs, prospective entrepreneurs and entrepreneurial managers of Mother Lanka to join hands with the Department of Entrepreneurship, the precious centre for entrepreneurship, in to an intense period of personal and professional transformation that prepares them for taking up challenges in creating a prosperous motherland. Surprisingly for them, this would not be the destination, but would be a turning point in life that provides with the confidence and the required knowledge, skills and attitudes to achieve continuous professional development in the highly turbulent and competitive business environment and would help all the participants to have a victorious life. Applications are now called for Master’s Degree in Entrepreneurship Program 2018-2020 organized and conducted by the Department of Entrepreneurship of Faculty of Management Studies and Commerce together with the Faculty of Graduate Studies of University of Sri Jayewardenepura. Master of Entrepreneurship (M.Entr.) programs will be conducted in English with brief explanations in Sinhala and papers will be given only in English. Three years valid business registration or three years’ experience as a manager in an entrepreneurial business or three years executive level experience in an institution that provides BDSS (Business Development Supportive Services) or three years executive level experience in an institution that promotes entrepreneurship in the nation or an employee of university of Sri Jayewardenepura with five years’ service in it. A Postgraduate Diploma of not less than one year or Higher Degree from a recognized University with two years’ relevant experience. One of the following professional qualifications with three years’ relevant post-qualifying experience. One of the following professional qualifications with five years’ relevant post-qualifying experience. University of Sri Jayewardenepura, Gangodawila,Nugegoda, Sri Lanka.